I have an American Megatrends BIOS MotherBoard. However, in the BIOS Setup there is NO OPTION for SATA Controller and other Configurations. I have a Sony Vaio Laptop Series VPCCB15FG. The other problem I have encountered is that in BIOS Setup Motherboard name show that VPCCB15FG But NOT in DXXXX number. Hello Vivek. Many Thanks for taking the time to write your own web page. It is very much appreciated. First of all I like the Laptop you own. I am familiar with the Sony Viao but not this particular model. 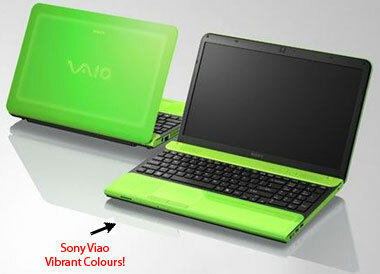 The translucent plastic green, orange or black lids are very striking and make your Laptop stand out. I have added an image to your page so other visitors can see what I mean. It has a decent sized High Definition (HD) Screen, a good Intel i5 2.3Ghz processor and enough Random Access Memory (RAM) to cover most tasks. It also has a good range of ports (USB, HDMI, Bluetooth etc.). In terms of the SATA controller options and other configurations the first thing you can do is go the Sony web site and update the BIOS to the latest version for your Laptop model. My understanding is your Sony Viao model comes with a 500GB SATA Hard Drive so I would expect there to be a presence in the machines BIOS Settings. If the SATA settings cannot be change in the latest version of the BIOS, you could download the latest SATA drivers from the Sony web site. They may give some some options to play with. I know the frustration when you cannot identify the motherboard to locate the correct BIOS update. If the CPU-Z tool does not identify it for you try another tool such as the Belarc Advisor. Alternatively go to the Sony web site or call Sony Support and they will be able to tell you the motherboard information you need. I hope some of the information above helps you to overcome your problems Vivek. Good luck. Join in and write your own page! It's easy to do. How? Simply click here to return to American Megatrends BIOS Update.